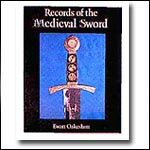 Here you will find Books on Sword Fighting, Medieval Combat, Records of Medieval Swords, Knift and Tomahawk book, Medieval Furniture, Songs for Bagpipes to Medieval Dance Music Books. A Song of Ice and Fire, a series of epic fantasy novels by American author George R. R. Martin. Recently picked up by HBO as a medieval fantasy series. Books about Sword Fighting and Swords in general. Enter here to find books that will take you to far away places of fantasy such as Westeros, The Wall, Alagaesia, Hogworts, Rivendell, Hobbiton, Mount Doom, The Lonely Mountain, Narnia, Avalon, and more. Medieval Interest Books, Arms and Armour, Constructing Medieval Furniture, Knights, Battles, How to books and more! The Inheritance Cycle is set in the fictional world of Alagaësia, the novels focus on a teenage boy named Eragon and his dragon Saphira. John Ronald Reuel Tolkien, better known as J.R.R. Tolkien wrote The Hobbit, The Lord of the Rings series, but also wrote other books about the world of Middle Earth, the world he envisioned. He wrote books about the elves and the world before "the dark times". Military History Books on World Wars I & II as well as Tactical books. Instructional Bagpipe, Medieval Music Books and more. Instructional Martial Arts Books on Swordplay and More. Many years ago L. Frank Baum created the timeless story of The Wizard of Oz, a classic that is still loved today. So loved that it spawned sequals and variations even in our own time. The Wonderful Wizard of Oz, Tin Man, Wicked-The life and times of the Wicked Witch and countless other movies and books. Have you ever wondered about the other side of the story from the "villians" point of view. Herein lies that side. Stories by Gregory Maguire explore what might have been reality. From Wicked to Mirror, Mirror, and The Confessions of an Ugly Stepsister; we have the stories you are looking for.